Château Lafite Rothschild's second wine, Carruades de Lafite presents similar characteristics to the Grand Vin, but with its own personality linked to a higher proportion of Merlot and to specific plots that are used to produce Carruades. While the first known reference to Lafite dates to 1234 with a certain Gombaud de Lafite, abbot of the Vertheuil Monastery north of Pauillac, Lafite’s mention as a medieval fief dates to the 14th century. The name Lafite comes from the Gascon language term “la hite”, which means “hillock”. There were probably already vineyards on the property at the time when the Ségur family organised the vineyard in the 17th century, and Lafite began to earn its reputation as a great winemaking estate. Jacques de Ségur was credited with the planting of the Lafite vineyard in the 1670s and in the early 1680s. In 1695, Jacques de Ségur’s heir, Alexandre, married the heiress of Château Latour, who gave birth to Nicolas-Alexandre de Ségur. The wine histories of the fiefs of Lafite and Latour were thus joined at the outset. 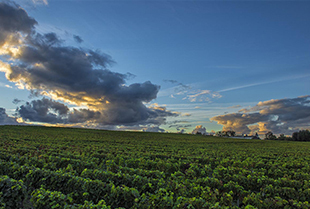 The vineyard consists of three main areas: the hillsides around the Château, the adjacent Carruades plateau to the west, and 4.5 hectares in neighbouring Saint Estèphe. The vineyard covers 112 hectares and is well-drained and well-exposed, with soil made up of fine deep gravel, mixed with aeolian sand on a subsoil of tertiary limestone. It is well-drained and well-exposed to the sun. The grape varieties are Cabernet Sauvignon (70%), Merlot (25%), Cabernet Franc (3%) and Petit Verdot (2%). The average age of the grapevines is 39 years old. But it should be noted that vines younger than 10 years old are not used in the Grand Vin. This means that the average age of the vines used in the Grand Vin (Château Lafite Rothschild) is closer to 45 years. The oldest plot, called “La Gravière , was planted in 1886. The property has been managed since 1962 by a single team that, due to the proximity of the two properties, oversees both Château Lafite Rothschild and Château Duhart-Milon. 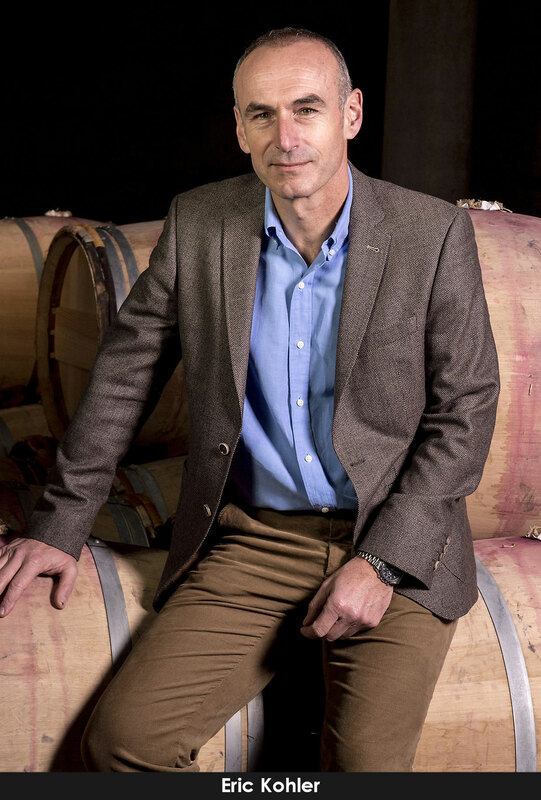 Eric Kohler, Technical Director of the Bordeaux Châteaux, is assisted by oenologist and winemaker Christophe Congé, and vineyard manager Louis Caillard. Both châteaux use exactly the same traditional techniques, based on strict control of yields, manual harvests, and numerous tasks that are carried out by hand all through the year. Little or no chemical fertilizers are used, and careful use of organic fertilizers allow the vines to reach an advanced age, they are generally pulled out (with a heavy heart) when they reach 80 years old. The grapes from each plot are fermented in separate vats in order to preserve the identity of the terroir on which the grapes have ripened. At Lafite, tradition and technical progress go hand in hand, fermentation takes place in two vat rooms: one with traditional large oak vats, and the other with modern stainless steel vats, with integrated cooling/heating rings and automated centralized temperature control. Upon completion of alcoholic fermentation, the cuvée-wines are tasted before being drawn off to the fine wine vats. The free run juice and the pomace are separated and the pomace is pressed independently in order to extract the “press wine”. A second fermentation phase, called malolactic fermentation, takes place in vats before the wine is transferred into barrels by batches. 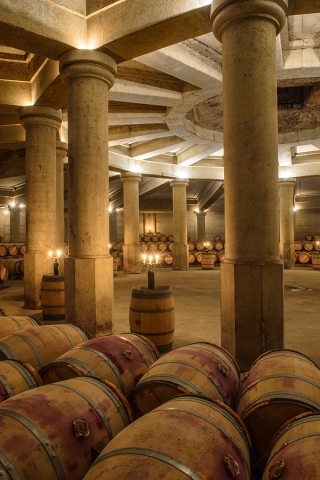 In 2010, Lafite further refined its vinification procedures with the construction of two vat rooms consisting of several dozen smaller-sized vats. A Merlot vat room (with concrete tanks ranging from 50 to 125 hl) in order to make wine with an extra level of care from all the various plots of Merlot. A divisional vat room (with stainless steel vats ranging from 30 to 70 hl) dedicated to malolactic fermentation (secondary fermentation) in order to continue plot selection all the way through the vinification process for any batches of Cabernet or Merlot that require it. All of the barrels come from the Domaines cooperage, with a special “toasting” during manufacturing suited to the characteristics of the wine. Several tastings from each vat are carried out to make the selection for the Grand Vin. Blending takes place after the first racking of the barrels in March. Then the ageing phase of the wine begins in the cellar, which takes between 18 and 20 months. During this period, the cellar master racks the wines regularly in order to clarify them. Four to six lightly beaten egg whites are added to each barrel, which absorb floating particles and pull them down to the bottom of the barrel. The wine is then ready for bottling, which takes place in June. Château Lafite’s circular cellar room was constructed under the supervision of the architect Ricardo Bofill and inaugurated in 1987. Intended for the ageing of wines in their second year, it is characterized by its unusual octagonal shape and an arch supported by 16 columns. It can accommodate up to 2,200 barrels. Check the authenticity of your bottles of Château Lafite Rothschild and Carruades de Lafite. 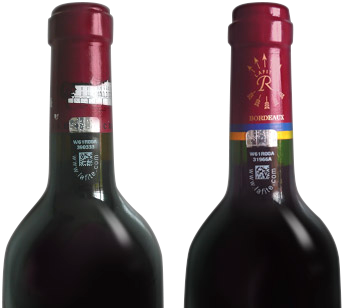 In order to guarantee the authenticity of our bottles of Château Lafite Rothschild and Carruades de Lafite, an authentication seal has placed on all capsules of bottles labelled since February 2012.  The seal consists of a unique “bubble code” that cannot be reproduced, which is associated with an alphanumeric code. 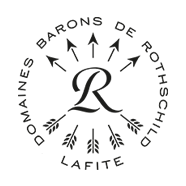 The implementation of this system is part of Domaines Barons de Rothschild (Lafite)’s commitment to the prevention of counterfeiting in an efficient way and to providing consumers with high quality support. In order to check the authenticity of your bottle, enter the alphanumeric code that appears on the bubble tag in the box opposite. Monday to Friday by appointment only (please make a written request to visites@lafite.com).